Caol Ila Distillery has today formally submitted plans to transform its visitor experience on Islay to Argyll & Bute Council. The detailed planning application sets out proposals to significantly expand and enhance the experience the distillery offers to tourists from around the world. The submission of formal plans follows a community engagement event last month at which initial plans were shared with local residents. Pre-application consultation has also been carried out with the local authority. 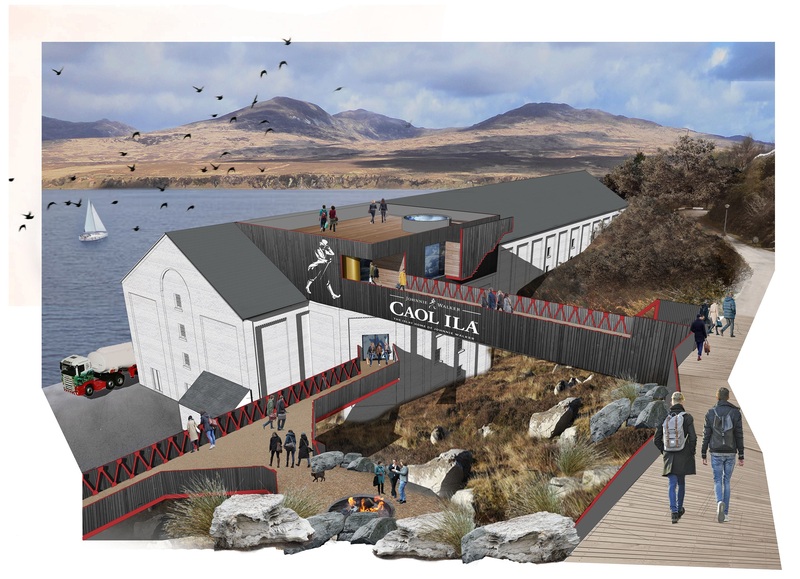 If approved, the new state-of-the-art visitor experience will be created inside the Caol Ila warehouse, including a bar with stunning views across the Sound of Islay. The visitor centre will be entered via a foot-bridge into the roof of the warehouse, linking to new parking facilities on the hill above the distillery, which will be discreetly located and carefully landscaped to manage visual impact and traffic movement. Leigh Aitken, Caol Ila Distillery visitor centre manager, said: “We are very pleased to take this important step in the exciting journey to transform our visitor experience at Caol Ila Distillery. We have had good engagement with local residents and stakeholders on our plans so far and we will continue to work with the local authority and the community as we progress through the formal planning process. In April Diageo announced a £150 million investment programme – the biggest ever seen in Scotch whisky tourism – to transform distillery visitor experiences across Scotland. The investment will see the creation of a global Johnnie Walker brand experience in Edinburgh. Whisky from Diageo’s distilleries all over Scotland contribute to Johnnie Walker, but four distilleries – Caol Ila, Glenkinchie, Cardhu and Clynelish - will be linked directly to a new Johnnie Walker global visitor experience in Edinburgh. Diageo’s other single malt distillery visitor centres across Scotland will also receive investment in their visitor experiences as part of the programme. The company is also investing a further £35m to bring back the iconic lost distilleries of Port Ellen, on Islay, and Brora, in the Highlands.